This face mask brings deep-down moisturization, fighting the appearance of fatigue and toning the skin for fresh and matte beauty results. Formulated with 2% active oxygen associated with essential oils of citrus fruit, vitamin A and trace elements, it regulates oiliness prone skin and redesigns the facial contours for a genuine boost of radiance! Suitable for all, even the most sensitive skin types. Apply liberally to a clean, dry face and neck. Leave on for 10 minutes, rinse off with lukewarm water. 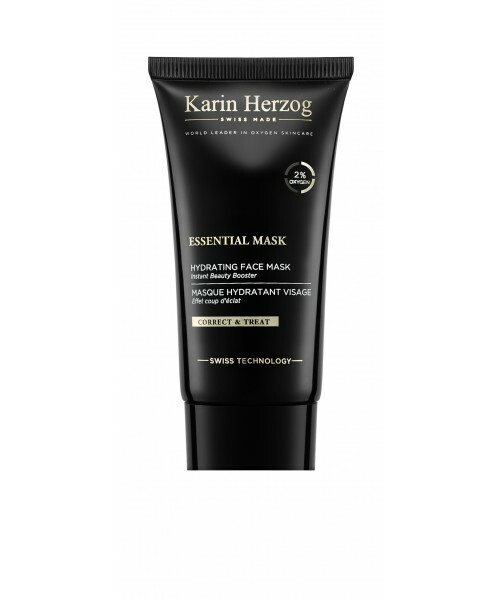 For very dry skin, leave the mask on to absorb into the skin and simply massage in the excess without rinsing. Use one to three times a week. Follow with a Vita-A-Kombi cream or your recommended Karin Herzog treatment. For an instant lifting effect, use prior to makeup application. For best results, apply product with a brush in order to avoid the absorption of active ingredients through the fingertips. The product is safe to use around the sensitive eye area and can be added to neck and lips. Avoid contact with eyebrows and hairline, as this product may lighten hair over time. Aqua, Petrolatum, Glyceryl stearate, Paraffinum liquidum, 2% Hydrogen peroxide, Polysorbate 80, Stearyl alcohol, Cetyl alcohol, Tocopheryl acetate, Citrus paradisi peel oil, Citrus aurantium dulcis peel oil, Citrus reticulata peel oil, Salicylic acid, Fructose, Retinol.